You can choose a shampoo that avoids stripping hair of beautiful, new color… but you’ll double your efforts if you reach for our companion conditioner. 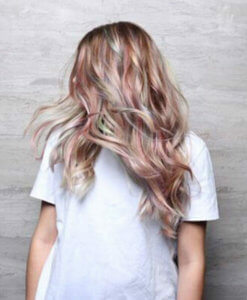 It not only protects your color investment, but hydrates and repairs hair at the same time. How’s that for therapy? My hair is a bleached fine bob, I used the product after trying a trial size bottle, I’ve been impressed so now own a 300ml bottle, smells nice, use small amounts, on damp hair leave for a minute and your hair will become vibrant, shines and is well worth the money, color stays fresh longer. 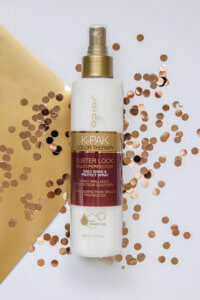 This color-protecting conditioner gives you tangle-taming slip in no time. Directions: Apply a small amount to clean, damp hair. Leave for 1-2 minutes. Rinse. 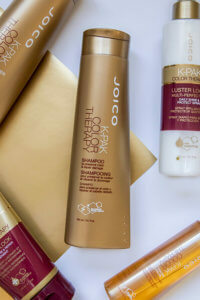 For best results, use with K-PAK Color Therapy Shampoo. 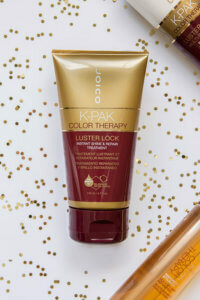 Attach to the damaged sites of the hair structure to rebuild from the inside out. To lock in moisture, amp up shine, and seal the cuticle.